It’s such a small step, but a clean car can increase the money you receive. When it comes to trading in your car, the more time and effort you put in to make it look appealing, the more money you’ll receive in return. Take it through the car wash, wipe down the interior, clean the windshield and windows – make it shine! Before you go and repair everything on your car, determine whether or not the repairs will increase the value of your trade-in. You must make sure that the repairs you make will increase the selling price of the car enough to recoup the cost of the repairs. For safety and emission requirements, it would be wise to have a certified mechanic inspect the vehicle so you can be assured that it meets state requirements. All in all, be sure to fix your vehicle to make sure it runs properly before you sell it. Round up your maintenance records as it shows your dealer that you care about your vehicle. If you have had your car serviced at our dealership, you can call us in advance and ask for a copy of your service history. We also recommend you get a detailed history report on your vehicle based on its VIN number just as back-up documentation about the validity of the title and mileage, as well as other historical information of your vehicle. Be sure to understand how much your vehicle is actually worth by putting in the car’s make, model, year and mileage information into the free online PureCars Trade-In Report tool. This will help you to get a baseline number. For an exact quote, visit our Honda dealership. Take these tips into consideration when you are looking to trade-in your current ride. 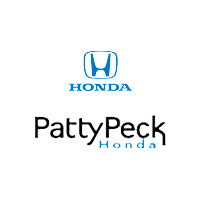 To learn more about trading in your car or if you’re ready to make the trade, contact Patty Peck Honda, our Jackson MS area Honda dealership today.